For more than 35 years Cathy Stuart has been dedicated to the practice of law and to her clients. She is committed to excellence and being involved in issues bigger than herself. She has encouraged and fostered that culture and vision of service at Stuart Law. For decades, she has served as general counsel to diverse corporate and tax-exempt organizations. 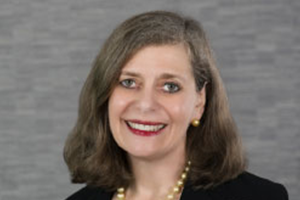 She has litigated in administrative tribunals as well as in state and federal courts across North Carolina. Throughout her career she has been known for her tenacity, determination and attention to detail. Her expansive work in the insurance and corporate world provides her clients access to her unique blend of experience and depth of knowledge regarding risk management, corporate bankruptcy, insurance regulatory, self-insurance, insurance coverage, workers’ compensation, human resources and employment law, intellectual property, tax-exemptions organizations and sports law. She has served as counsel, administrator and a board member for major special events and tax-exempt organizations for more than 30 years. Her corporate and insurance regulatory work has involved a myriad of coverage issues, creation and dissolutions of business enterprises, mergers and acquisitions as well as lost portfolio transfers and assumption reinsurance agreements. In recent years, she has addressed the significant measures clients must take to preserve and protect client data security and intellectual property rights. The cost of compliance in the event of a data breach is staggering. She is recognized as a problem solver for her business clients and in her work as a North Carolina Dispute Resolution Commission Certified Superior Court Mediator. She has been recognized as a North Carolina Super Lawyer beginning in 2006 and was awarded the 2011 Triangle Business Journal Women in Business Award in 2011. She is a past member of the Women Presidents’ Organization. Her intellectual property work began through sports law arising out of her involvement with the 1987 United States Olympic Festival. She has continued her intellectual property work including trademark and copyright registration in diverse channels of trade for more than 30 years. Her work in the field of sports has included Board Service and advice for the 1999 Special Olympics World Games, the North Carolina Bid Committee for the 2007 Pan American Games, USA Baseball and the Triangle Sports Commission. She has advised professional athletes and coaches and have counseled promoters and organizers of major national and international sporting events. Before entering the private practice of law, Cathy served as a staff member in the United States Senate; a consultant to the Appalachian Regional Commission; a law clerk to the Honorable Franklin T. Dupree, former Chief Judge, U.S. District Court for the Eastern District of North Carolina; and as an Assistant North Carolina Attorney General. She also has taught as an Adjunct Instructor at the University of North Carolina School of Law. Cathy’s experience has also embraced a wide range of diverse charitable, educational, national and community based organizations including various leadership positions with: the Board of Visitors for the University of North Carolina at Chapel Hill; the Board of Directors of the Masonic Home for Children at Oxford; Chair of the Pastor/Parish Committee as well as a member of the Stewardship Committee, the Board of Trustees, the Church Council and the Endowment Committee for Highland United Methodist Church; the North Carolina State Museum of Natural Sciences; the Raleigh Professional Women’s Forum; the Lucy Daniels Center for Early Childhood Development; Hopeline; the Raleigh Little Theatre; the North Carolina Museum of Art; the North Carolina Women’s Hospital, the North Carolina Symphony; The National Charity League, Cardinal Chapter, the Women Giving Network of Wake County, District IV Council for Wake County Public Schools and Cary Academy. She served as Chair of the Board of North Carolina Amateur Sports and concluded more than 30 years on the Board of Directors. She also served on the Wake Regional Committee for the John Motley Morehead Foundation. She currently serves as the President of the Madeira School Alumnae Association and on the Board of Trustees. She is a member of the UNC Lineberger Cancer Center Board of Visitors. She has been a member and long-standing volunteer in the Raleigh Rotary Club and is a member of the Raleigh Professional Women’s Forum. Cathy enjoys traveling, fitness and protecting the planet for future generations.